Helen Dean Bynum Campbell, 79, of Murfreesboro passed away Wednesday, October 17, 2018 at The Waters. She was a native of Cannon Co., Tn. 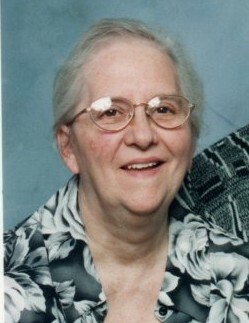 She is survived by her children, Tammie Diane Campbell, Jeffrey Alan (Margaret) Campbell and Christopher Lee (Heather) Campbell all of Murfreesboro and Larry James (Darlena) Campbell of Smyrna; grandchildren, Mindy Angus, Jonathan Jacobs, Nichole Moss, Ashley Campbell, Merissa Waldron, Meranda Farris, Andrew McKnight, Alex Sinvichith and Megan Carter. Also surviving are 10 great grandchildren also survive. She was preceded in death by her parents, Monroe and Minnie Lou Mears Bynum; her husband, James B. Campbell and her brothers, Bobby and Sunny Bynum. Ms. Campbell was a housewife and a member of Wards Grove Baptist Church. Funeral Services will be 2 pm Saturday, October 20, 2018 in the Chapel of Woodbury Funeral Home. Interment will follow in the Coleman Cemetery. Visitation with the family will be from 4 pm to 8 pm Friday, October 19, 2018.